Operates 2 traps. 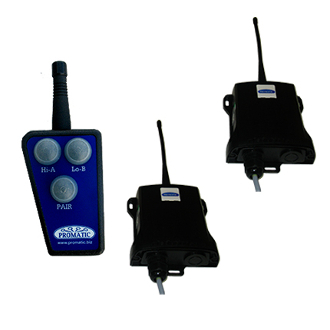 Commercial quality transmitter, receivers and stand with connector. "Double" button allows for immediate simultaneous release of both traps. Meets FCC standards. Re-program with a magnet instead of dip switches.